Construction on Tishman Speyer’s Lumina has progressed steadily since our last update. Both towers of the 656-unit development are now topped out. 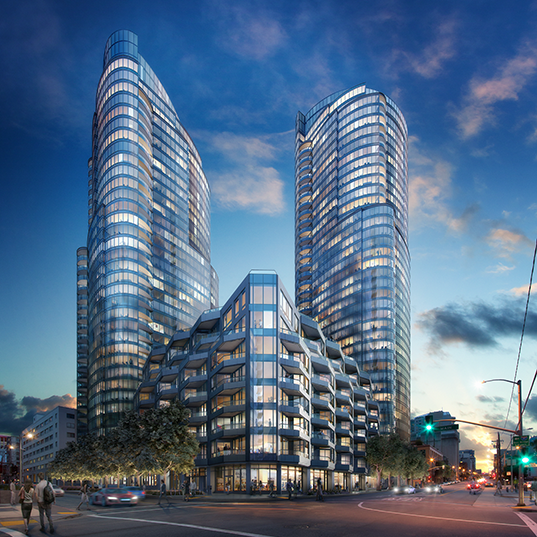 The mid-rise portion of project is also fully clad, with glass rising quickly on its adjoining towers.